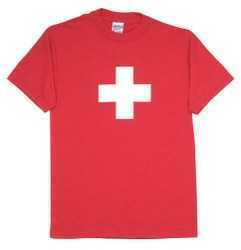 Any youngster will be Heidi when wearing this stylish shirt. 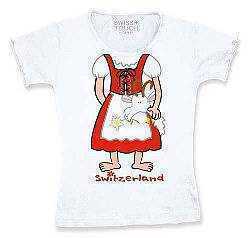 Cotton, with Heidi, goat and the word Switzerland design. 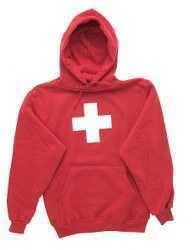 Size 2-Toddler and 4-Toddler. Order by size. 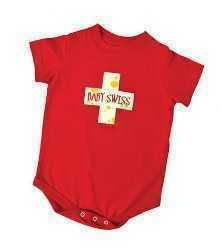 Match up your Swiss t-shirt or sweatshirt with your baby for that original Swiss family look! 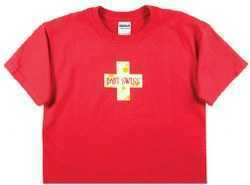 “Baby Swiss” in a cheesy Swiss cross.